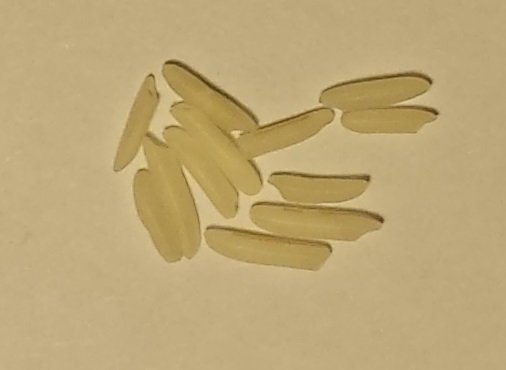 Consider these 10 images of various amounts of uncooked grains of white rice. THESE ARE ONLY THUMBNAILS. Click an image to view it at full size. 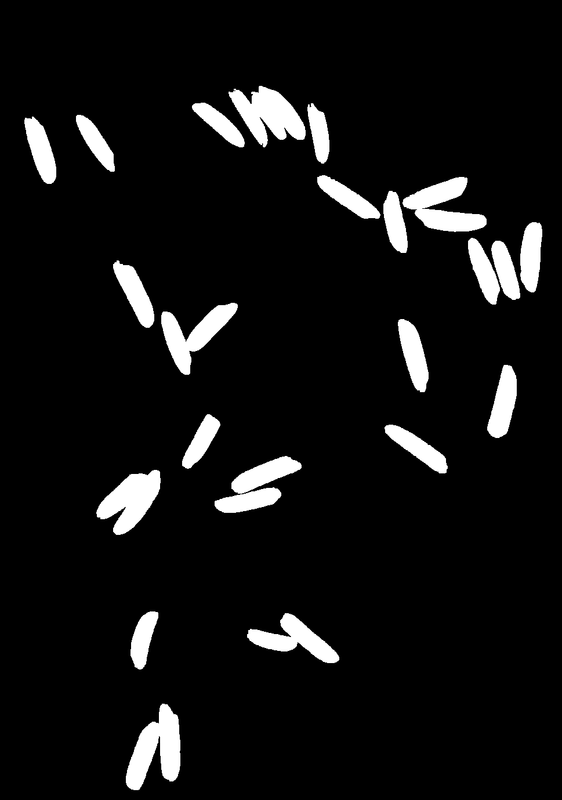 The grains may touch each other but they never overlap. 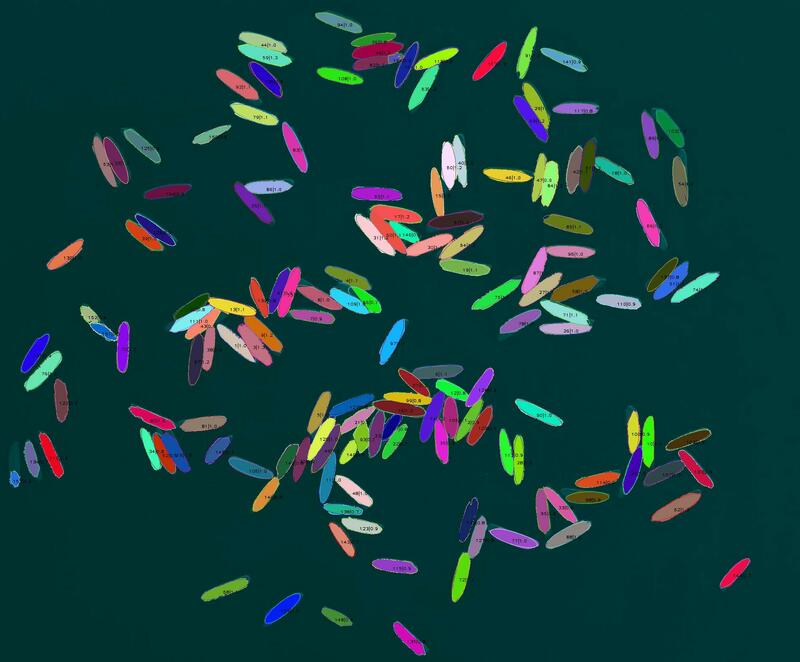 The layout of grains is never more than one grain high. 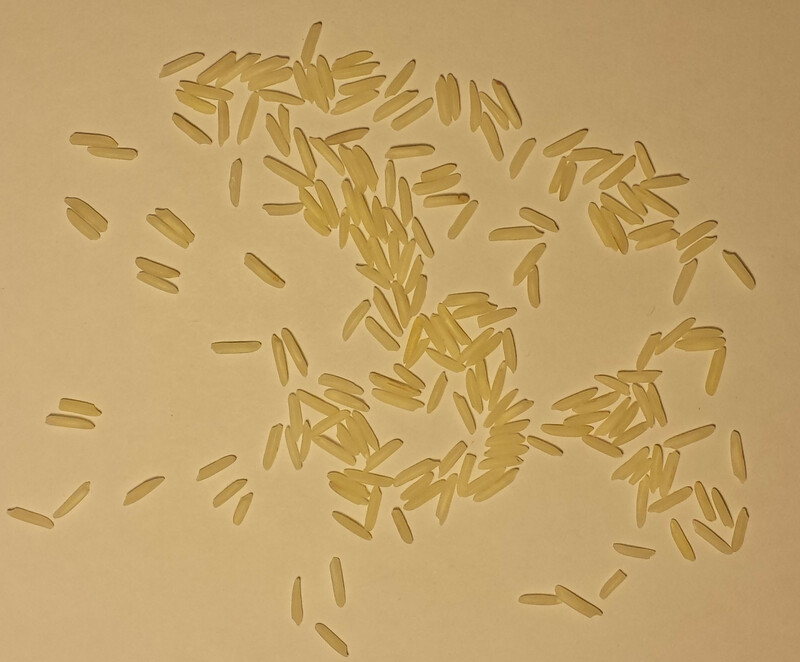 The images have different dimensions but the scale of the rice in all of them is consistent because the camera and background were stationary. The grains never go out of bounds or touch the image boundaries. The background is always the same consistent shade of yellowish-white. 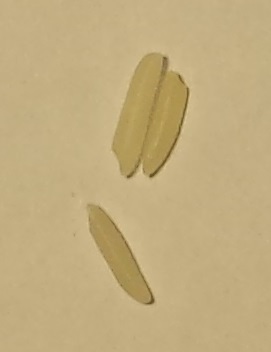 Small and large grains are counted alike as one grain each. These 5 points are guarantees for all images of this sort. 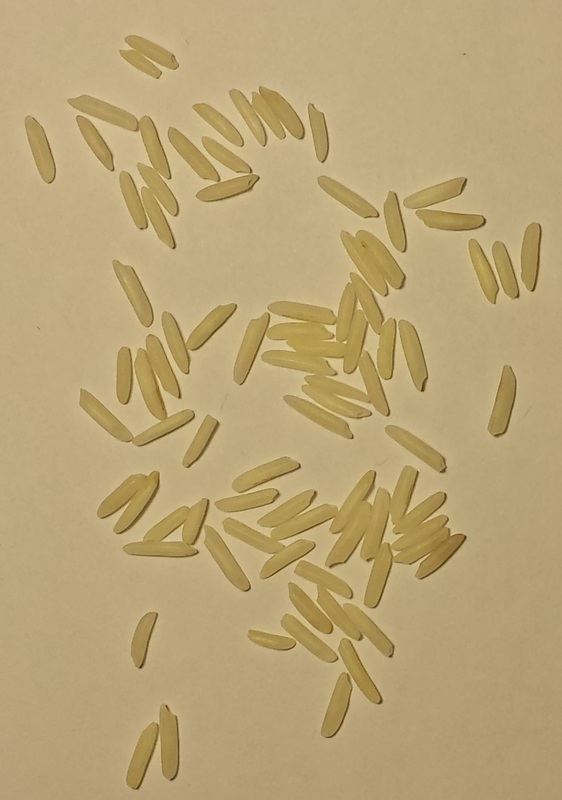 Write a program that takes in such images and, as accurately as possible, counts the number of grains of rice. 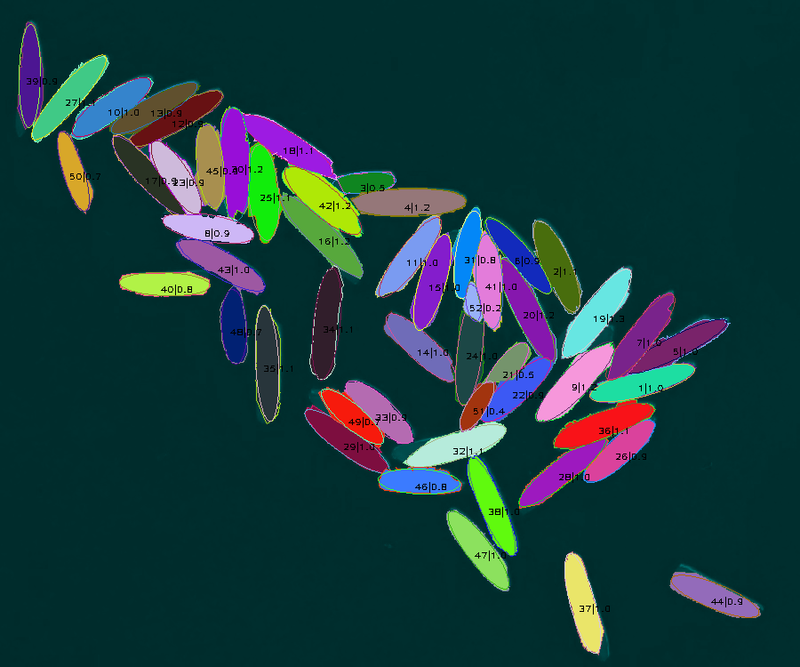 Your program should take the filename of the image and print the number of grains it calculates. Your program must work for at least one of these image file formats: JPEG, Bitmap, PNG, GIF, TIFF (right now the images are all JPEGs). You may use image processing and computer vision libraries. 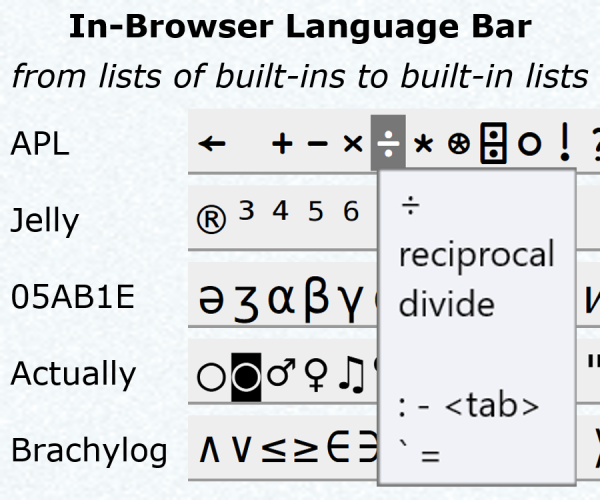 You may not hardcode the outputs of the 10 example images. 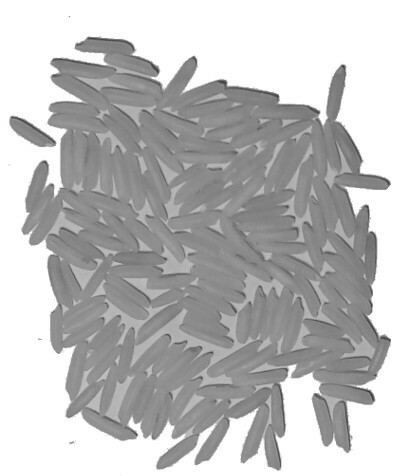 Your algorithm should be applicable to all similar rice-grain images. 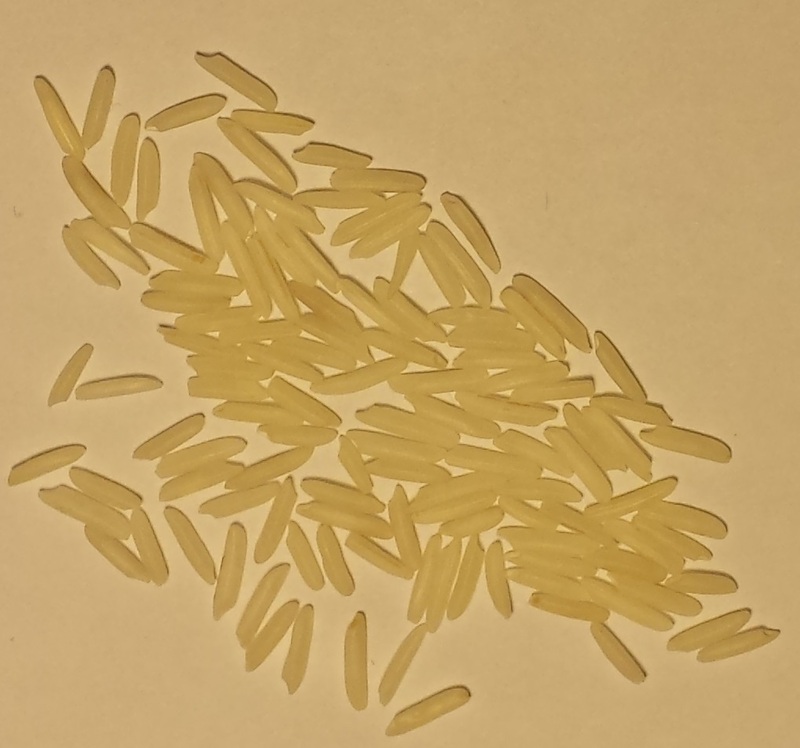 It should be able to run in less than 5 minutes on a decent modern computer if the image area is less than 2000*2000 pixels and there are fewer than 300 grains of rice. 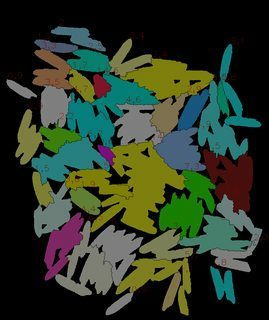 For each of the 10 images take the absolute value of the actual number of grains minus the number of grains your program predicts. Sum these absolute values to get your score. The lowest score wins. A score of 0 is perfect. In case of ties the highest voted answer wins. I may test your program on additional images to verify its validity and accuracy. 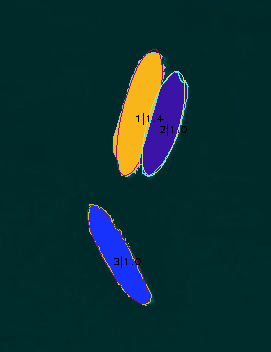 This solution, like Falko's one, is based on measuring the "foreground" area and dividing it by the average grain area. EDIT: Finally, the area of each continuous foreground (i.e. non-white) region is divided by the average, precalculated, grain area, giving us an estimate of the grain count in the said region. The sum of these quantities is the result. Initially, we did the same thing for the entire foreground area as a whole, but this approach is, literally, more fine-grained. Takes the input filename through the comand line. Idea : scan the image, one row at a time. 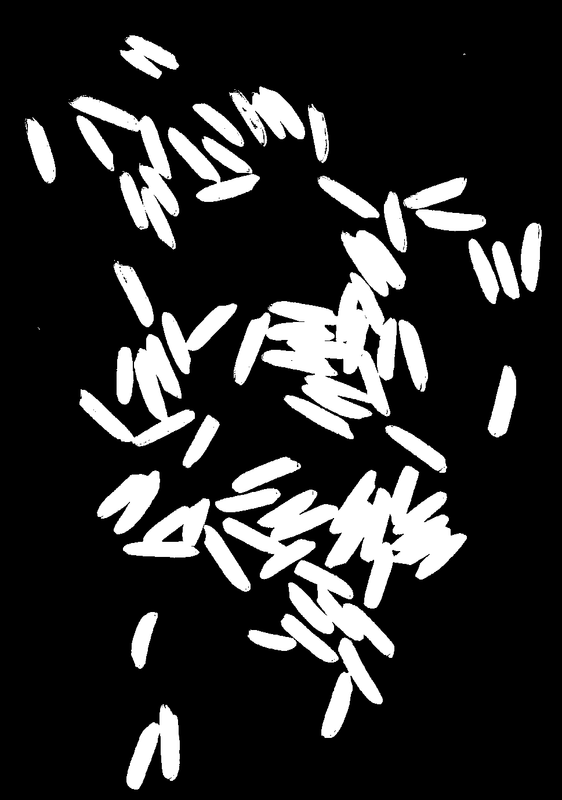 For each line, count the number rice grains encountered (by checking if pixel turns black to white or the opposite). 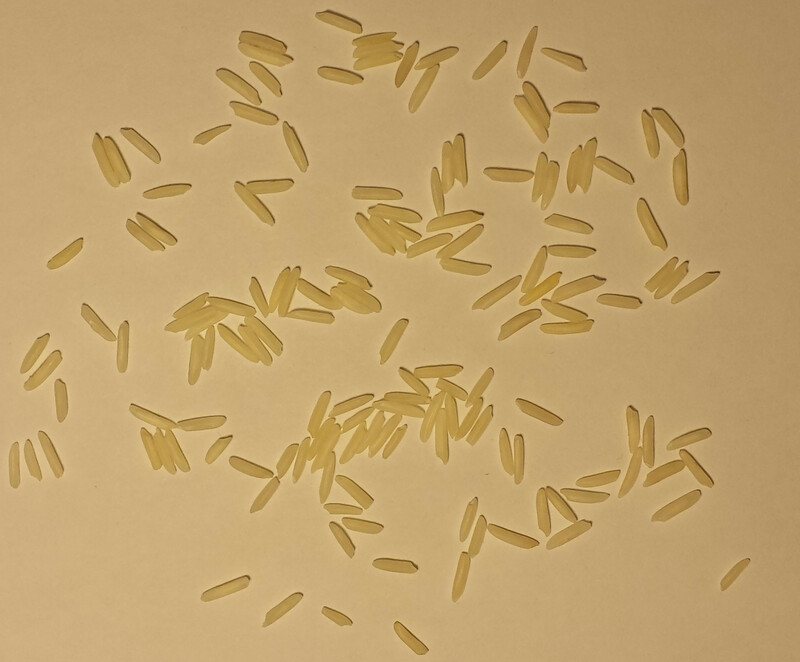 If number of grains for the line increase (compared to previous line), it means we encountered a new grain. If that number decrease, it means we passed over a grain. In this case, add +1 to the total result. Because of the way algorithm works, it is important to have a clean, b/w image. Lot of noise produce bad results. 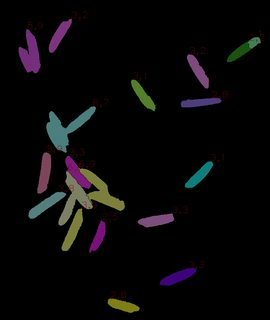 First main background is cleaned using floodfill (solution similar to Ell answer) then threshold is applied to produce black and white result. Here is a first naive attempt. It applies an adaptive threshold with manually tuned parameters, closes some holes with subsequent erosion and dilution and derives the number of grains from the foreground area. The errors per image are 0, 0, 2, 2, 4, 0, 27, 42, 0 and 7 grains. This is my second attempt. It is quite different from my first attempt, which is a lot simpler, so I am posting it as a separate solution. 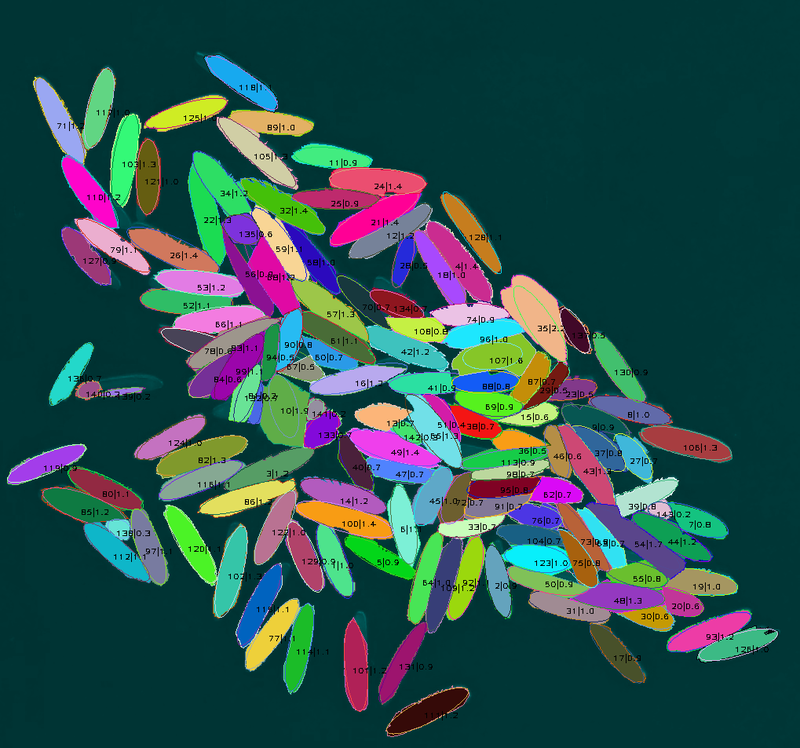 The basic idea is to identify and label each individual grain by an iterative ellipse fit. 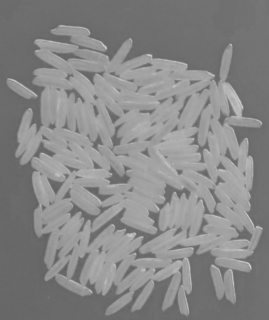 Then remove the pixels for this grain from the source, and try to find the next grain, until every pixel has been labeled. This is not the most pretty solution. It is a giant hog with 600 lines of code. It needs 1.5 minutes for the biggest image. And I really apologize for the messy code. 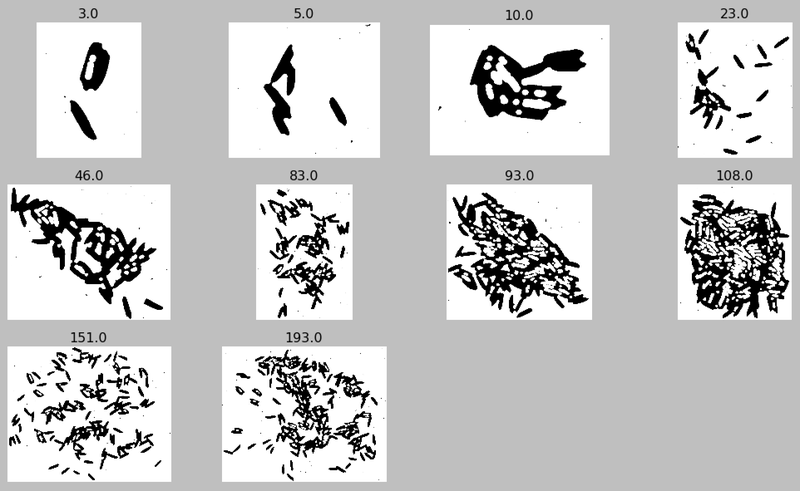 There are so many parameters and ways to thinker in this thing that I am quite afraid of overfitting my program for the 10 sample images. 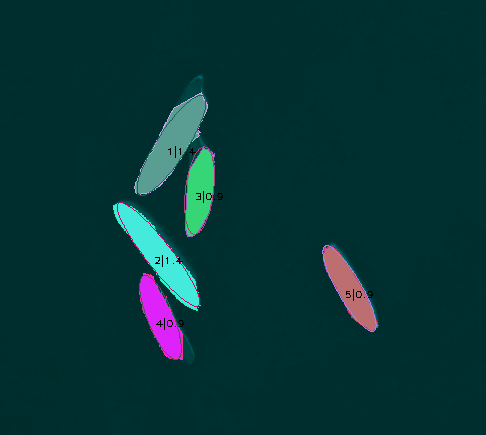 The final score of 2 is almost definitely a case of overfitting: I have two parameters, average grain size in pixel, and minimum ratio of pixel / elipse_area, and at the end I simply exhausted all combinations of these two parameters until I got the lowest score. I am not sure whether this is all that kosher with the rules of this challenge. 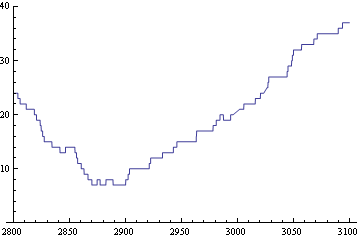 But even without these overfitting clutches, the results are quite nice. 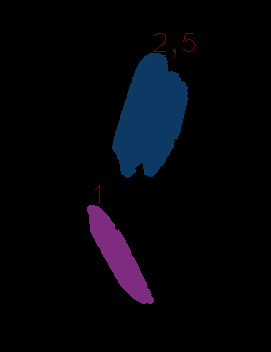 Without a fixed grain size or pixel-ratio, simply by estimating the average grain size from the training images, the score is still 27.
assume a grain with height and width 10 pixels at this position. 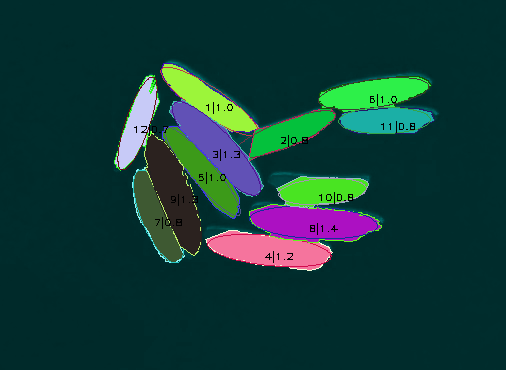 One of my main problems was that I did not want to implement a full ellipse-point distance metric, since calculating that in itself is a complicated iterative process. So I used various workarounds using the OpenCV functions Ellipse2Poly and FitEllipse, and the results are not too pretty. Apparently i also broke the size limit for codegolf. An answer is limited to 30000 characters, i am currently at 34000. So I'll have to shorten the code below somewhat. Sorry for this, I was not aware that there was a size limit. // Due to size constraints, I removed the inital part of my program that does background separation. For the full source, check the link, or see my previous program. if (!scanner.Any()) break; // no grains left, finished! // how many times did the fitted ellipse not change significantly? // found a better ellipse! 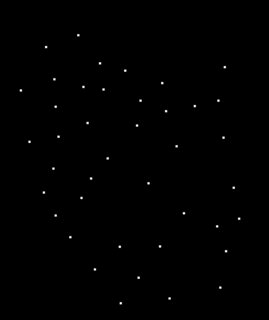 /// <summary> The proper thing to do would be to use the actual distance of each point to the elipse. // primarily take the number of points far from the elipse border as an error metric. /// <summary> assure that the width of the elipse is the major axis, and the height is the minor axis. I am a little embarrassed with this solution because a) I am not sure whether it is within the spirit of this challenge, and b) it is too big for a codegolf answer and lacks the elegance of the other solutions. 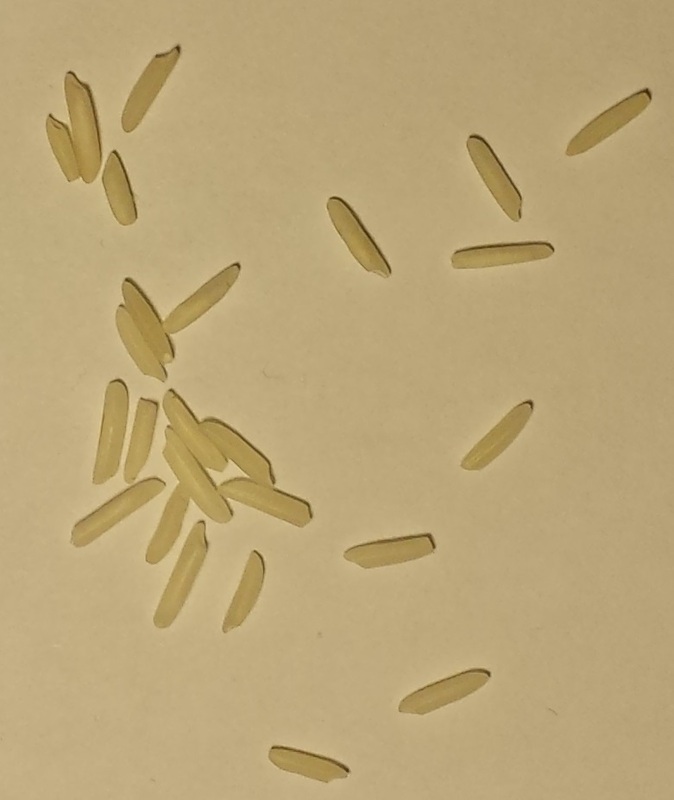 On the other hand, I am quite happy with the progress I achieved in labeling the grains, not merely counting them, so there is that. Basic idea of my method is quite simple - try to erase single grains(and "double grains" - 2 (but not more!) 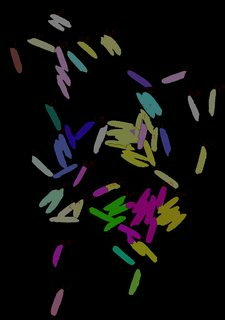 grains, close to each other) from image and then count rest using method based on area (like Falko, Ell and belisarius). Using this approach is a bit better than standard "area method", because it is easier to find good averagePixelsPerObject value. (1st step)First of all we need to use Otsu binarization on S channel of image in HSV. The next step is using dilate operator to improve quality of extracted foreground. Than we need to find contours. 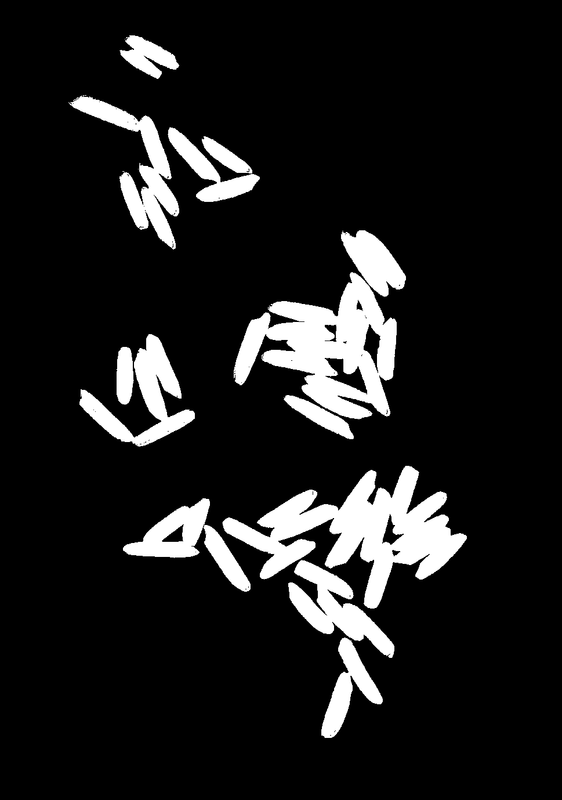 Of course some contours are not grains of rice - we need to delete too small contours (with area smaller then averagePixelsPerObject/4. averagePixelsPerObject is 2855 in my situation). Now finally we can start counting grains :) (2nd step) Finding single and double grains is quite simple - just look in contours list for contours with area within specific ranges - if the contour area is in range, delete it from list and add 1 (or 2 if it was "double" grain) to grains counter. 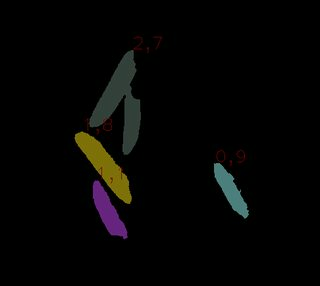 (3rd step) The last step is of course dividing area of remaining contours by averagePixelsPerObject value and add result to grains counter. Here is the code, it's rather ugly, but should work without any problem. Of course OpenCV is required. 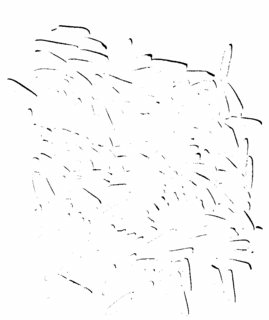 if (area >= singleObjectPixelsCountMin && area <= singleObjectPixelsCountMax) //is this contours a single grain ? 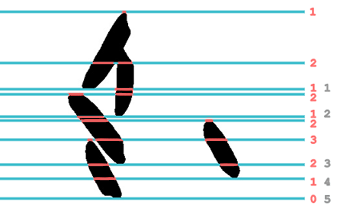 if (area >= doubleObjectPixelsCountMin && area <= doubleObjectPixelsCountMax) //is this contours a double grain ? If you want to see results of all steps, uncomment all imshow(..,..) function calls and set fastProcessing variable to false. Images(A.jpg, B.jpg,...) should be in directory images. Alternatively course you can give name of one image as a parameter from command line. Of course if something is unclear i can explain it and/or provide some images/informations. 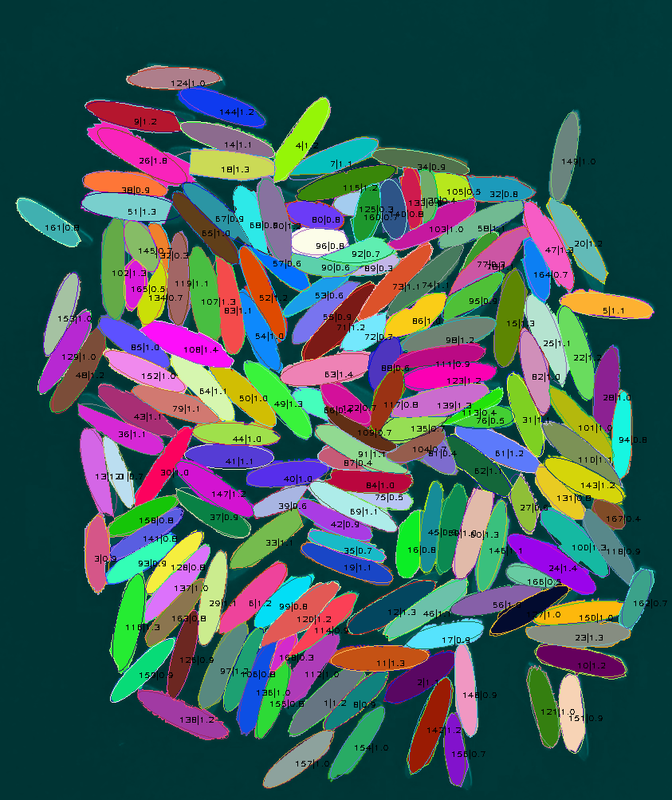 This is most vexing, I tried to get a solution that actually identifies each grain using watershed, but I just. can't. get. it. to. work. 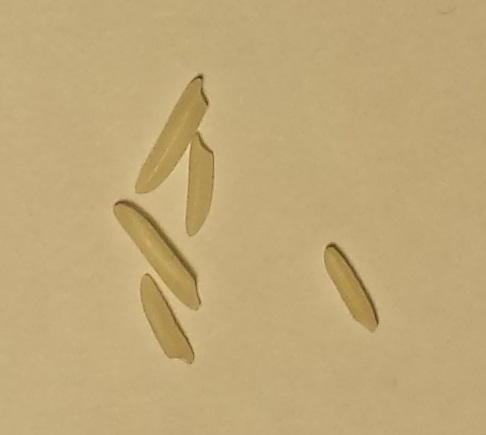 I settled for a solution that at least separates some individual grains and then uses those grains to estimate the average grain size. 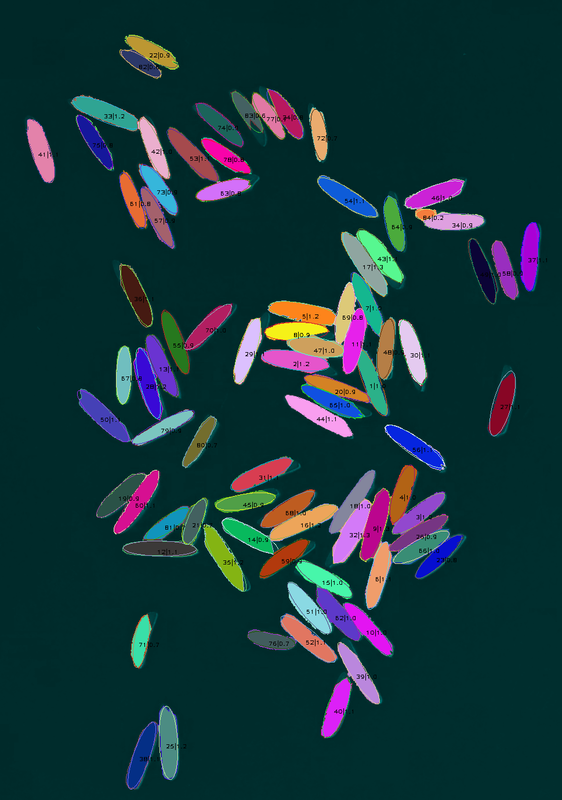 However so far I cannot beat the solutions with hardcoded grain size. 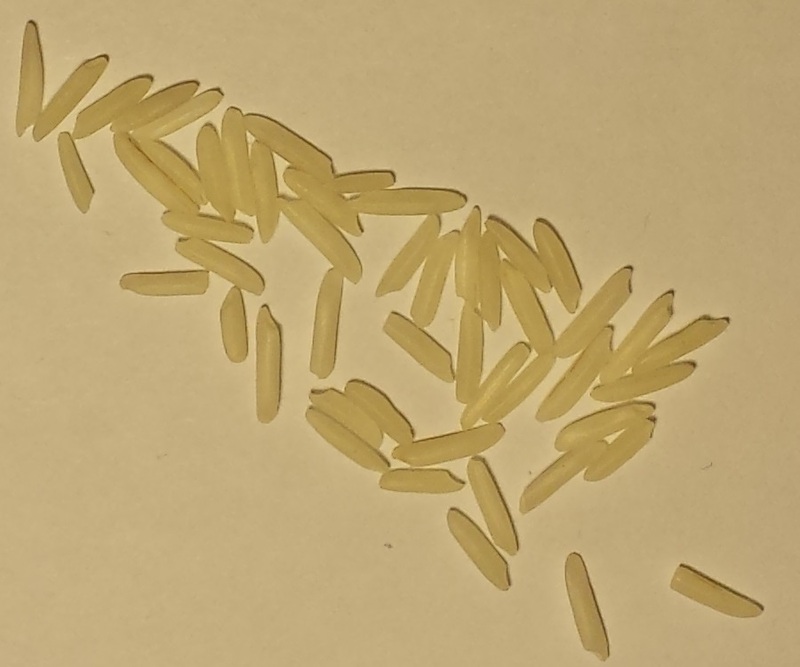 So, the main highlight of this solution: it does not presume a fixed pixel size for grains, and should work even if the camera is moved or the type of rice is changed. This will cleanly remove the background. Then I apply a distance transform on the foreground image. and find all local maxima in this distance transform. This is where my idea breaks down. 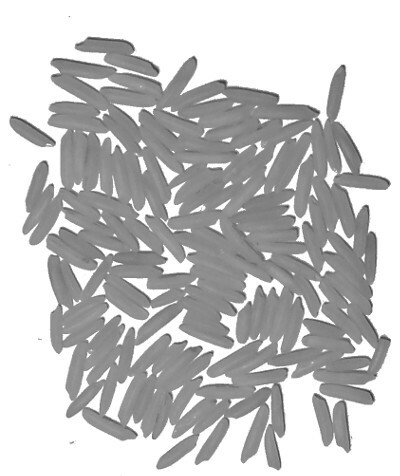 to avoid getting mutiple local maxima within the same grain, I have to filter a lot. 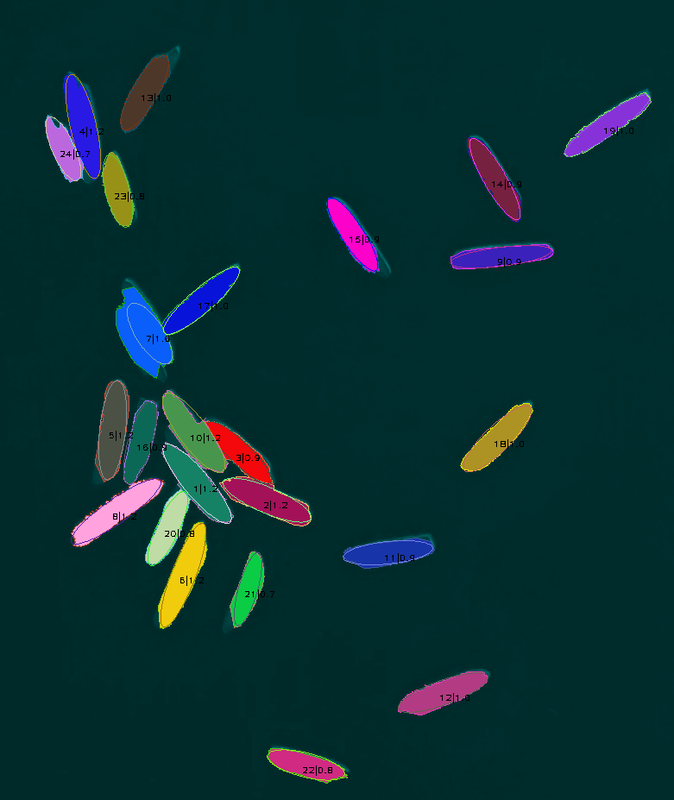 Currently I keep only the strongest maximum within a 45 pixel radius, which means not every grain has a local maximum. And I don't really have a justification for the 45 pixel radius, it was just a value that worked. The results are meh. 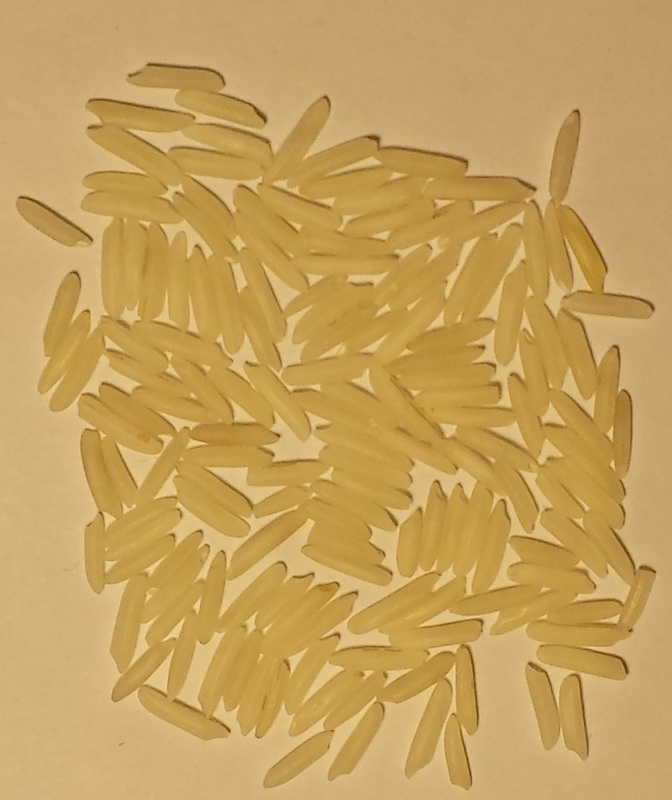 I was hoping for mostly individual grains, but the clumps are still too big. 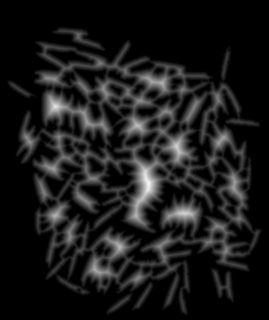 Now I identify the smallest blobs, count their average pixel size, and then estimate the number of grains from that. This is not what I planned to do at the start, but this was the only way to salvage this. 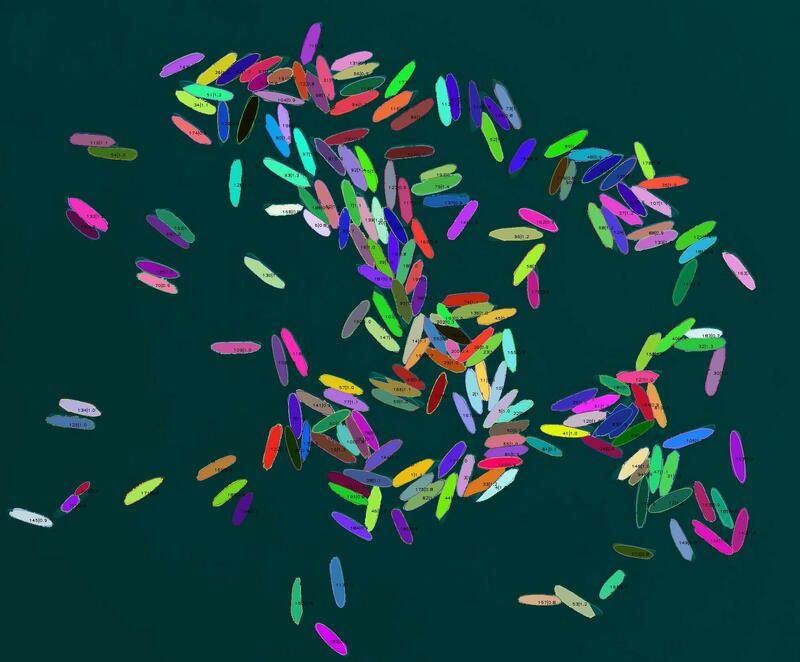 // this is a terrible hack to visualise the estimated number of grains per blob. A small test using a hard-coded pixel-per-grain size of 2544.4 showed a total error of 36, which is still bigger than most other solutions. It breaks down (isn't accurate) on the larger values. 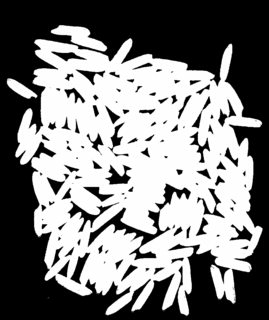 Explanation: Basically, counts the number of rice pixels and divides it by the average pixels per grain. Not the answer you're looking for? Browse other questions tagged code-challenge image-processing counting or ask your own question.